Greatest Film Directors: These honored selections are designed as a tribute to some of the greatest directors of predominantly English-language films, with suggested or recommended Best Films or 'Must-See' Films from their filmographies. See also this site's multi-part compilation of other deserved film directors (alphabetical) - More Great Film Directors. 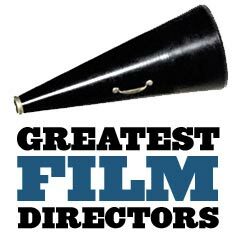 Filmsite's selections of the "50 Greatest Film Directors" from the entire list - without ranking numbers. Provocative, bombastic, and politically contrarian, he's courted controversy in Midnight Express, Natural Born Killers, and JFK. Suggested Filmography: The Hand (1981), Vietnam Trilogy: Platoon (1986), Born on the Fourth of July (1989), Heaven and Earth (1993); Salvador (1986), Wall Street (1987), Talk Radio (1988), The Doors (1991), JFK (1991), Natural Born Killers (1994), Nixon (1995), U-Turn (1997), Any Given Sunday (1999), Alexander (2004), World Trade Center (2006), W. (2008), Wall Street: Money Never Sleeps (2010), Savages (2012), Snowden (2016). His witty, sophisticated comedies -- The Lady Eve, Sullivan's Travels, The Palm Beach Story -- are still sharply funny, six decades later. Suggested Filmography: The Great McGinty (1940), Christmas in July (1940), The Lady Eve (1941), Sullivan's Travels (1941), The Palm Beach Story (1942), Hail the Conquering Hero (1944), The Miracle of Morgan's Creek (1944), The Sin of Harold Dibbledock (1947), Unfaithfully Yours (1948), The Beautiful Blonde from Bashful Bend (1949). A brilliant pop-culture collagist, he thrilled movie lovers with Reservoir Dogs, Pulp Fiction, and the Kill Bill series. Suggested Filmography: Reservoir Dogs (1992) (screenwriter and director), True Romance (1993) (screenwriter only), Natural Born Killers (1994) (screenwriter only), Pulp Fiction (1994) (screenwriter and director), Four Rooms (1995) - one segment, Jackie Brown (1997) (screenwriter and director), Kill Bill, Vol. I (2003), Kill Bill, Vol. II (2004), Sin City (2005) - special guest director, Grindhouse (2007) - one segment "Death Proof", Death Proof (2007), Inglourious Basterds (2009), Django Unchained (2012), The Hateful Eight (2015). Suggested Filmography: L'École des facteurs (1947), Jour De Fete (1948), Mr. Hulot's Holiday (1953), Mon Oncle (1958), Playtime (1967). Suggested Filmography: The 400 Blows (1959), Shoot the Piano Player (1960), Jules and Jim (1962), The Soft Skin (1964), Fahrenheit 451 (1966), The Bride Wore Black (1968), Mississippi Mermaid (1969), The Wild Child (1970), Two English Girls (1972), Day for Night (1973), Such a Gorgeous Kid Like Me (1973), The Story of Adele H (1975), The Man Who Loved Women (1977), The Last Metro (1980), The Woman Next Door (1981), Confidentially Yours (1983). Suggested Filmography: The Big Parade (1925), The Crowd (1928), Show People (1928), Hallelujah! (1929), The Champ (1931), Our Daily Bread (1934), The Wedding Night (1935), Stella Dallas (1937), The Citadel (1938), The Wizard of Oz (1939) (uncredited), Comrade X (1940), Northwest Passage (1940), Duel in the Sun (1946), Beyond the Forest (1949), The Fountainhead (1949), Ruby Gentry (1952), Man Without a Star (1955), War and Peace (1956), Solomon and Sheba (1959). Suggested Filmography: It (1927) (uncredited), Underworld (1927), The Docks of New York (1928), The Last Command (1928), The Blue Angel (1930), Morocco (1930), Dishonored (1931), Blonde Venus (1932), Shanghai Express (1932), The Scarlet Empress (1934), The Devil Is a Woman (1935), The Shanghai Gesture (1941), Jet Pilot (1957). Suggested Filmography: Blind Husbands (1919), The Devil's Passkey (1920), Foolish Wives (1922), Greed (1925), The Merry Widow (1925), The Wedding March/The Honeymoon (1928), Queen Kelly (1929). Suggested Filmography: The Thief of Bagdad (1924), What Price Glory (1926), Sadie Thompson (1928), In Old Arizona (1928) (co-director), The Big Trail (1930), Klondike Annie (1936), The Roaring Twenties (1939), They Drive By Night (1940), Dark Command (1940), High Sierra (1941), The Strawberry Blonde (1941), They Died With Their Boots On (1941), Gentleman Jim (1942), Objective, Burma! (1945), The Horn Blows at Midnight (1945), Pursued (1947), White Heat (1949), Colorado Territory (1949), Captain Horatio Hornblower (1951), Along the Great Divide (1951), The World In His Arms (1952), A Lion is in the Streets (1953), Battle Cry (1955), Band of Angels (1957), The Naked and the Dead (1958). Suggested Filmography: Picnic at Hanging Rock (1975), The Last Wave (1977), Gallipoli (1981), The Year of Living Dangerously (1982), Witness (1985), The Mosquito Coast (1986), Dead Poets Society (1989), Green Card (1990), Fearless (1993), The Truman Show (1998), Master and Commander: The Far Side of the World (2003), The Way Back (2010). Larger than life, he debuted with the dazzling Citizen Kane, then he saw studios hack up The Magnificent Ambersons and Touch of Evil. Suggested Filmography: Citizen Kane (1941), The Magnificent Ambersons (1942), The Stranger (1946), The Lady From Shanghai (1948), Macbeth (1948), Othello (1952), Mr. Arkadin (1955), Touch of Evil (1958), The Trial (1962), Chimes at Midnight/Falstaff (1966), F for Fake (1975). Suggested Filmography: Wings (1927), Night Nurse (1931), Other Men's Women (1931), The Public Enemy (1931), Frisco Jenny (1932), The Purchase Price (1932), So Big! (1932), Heroes for Sale (1933), Midnight Mary (1933), Wild Boys of the Road (1933), The Call of the Wild (1935), Nothing Sacred (1937), A Star is Born (1937), Beau Geste (1939), Roxie Hart (1942), Lady of Burlesque (1943), The Ox-Bow Incident (1943), The Story of G.I. Joe (1945), Yellow Sky (1948), Battleground (1949), The Happy Years (1950), Westward the Women (1951), Island in the Sky (1953), The High and the Mighty (1954), Track of the Cat (1954), Blood Alley (1955). His wit and unflinching eye for hypocrisy produced Sunset Boulevard and Ace in the Hole along with the gender-bending Some Like It Hot. Suggested Filmography: The Major and the Minor (1942), Five Graves to Cairo (1943), Double Indemnity (1944), The Lost Weekend (1945), A Foreign Affair (1948), The Emperor Waltz (1948), Sunset Boulevard (1950), The Big Carnival/Ace in the Hole (1951), Stalag 17 (1953), Sabrina (1954), The Seven Year Itch (1955), Love In the Afternoon (1957), The Spirit of St. Louis (1957), Witness For the Prosecution (1957), Some Like It Hot (1959), The Apartment (1960), One, Two, Three (1961), Irma La Douce (1963), Kiss Me, Stupid (1964), The Fortune Cookie (1966), The Private Life of Sherlock Holmes (1970), Avanti! (1972), The Front Page (1974), Fedora (1978), Buddy Buddy (1981). Suggested Filmography: Citizen Kane (1941) (editor), The Curse of the Cat People (1944), The Body Snatcher (1945), Born to Kill (1947), Blood On The Moon (1948), The Set-Up (1949), The Day The Earth Stood Still (1951), The Desert Rats (1953), Executive Suite (1954), Somebody Up There Likes Me (1956), Tribute to a Bad Man (1956), Helen of Troy (1956), I Want to Live! (1958), Run Silent, Run Deep (1958), Odds Against Tomorrow (1959), West Side Story (1961) (co-directed with Jerome Robbins), The Haunting (1963), The Sound of Music (1965), The Sand Pebbles (1966), Star! (1968), The Andromeda Strain (1971), The Hindenburg (1975), Audrey Rose (1977), Star Trek: The Motion Picture (1979). Suggested Filmography: Hold Your Man (1933) (uncredited), A Night at the Opera (1935), A Day At The Races (1937), Gone With the Wind (1939) (uncredited), Goodbye, Mr. Chips (1939), Kitty Foyle (1940), Our Town (1940), Raffles (1940), The Devil and Miss Jones (1941), Kings Row (1942), The Pride of the Yankees (1942), For Whom the Bell Tolls (1943), Guest Wife (1945), Saratoga Trunk (1945), Ivy (1947), Command Decision (1948), The Stratton Story (1949). His elegant storytelling made dramas (The Best Years of Our Lives), romances (Roman Holiday), and epics (Ben-Hur) sparkle. Suggested Filmography: Come and Get It (1936) (partial), Dodsworth (1936), These Three (1936), Dead End (1937), Jezebel (1938), Wuthering Heights (1939), The Letter (1940), The Westerner (1940), The Little Foxes (1941), Mrs. Miniver (1942), The Best Years of Our Lives (1946), The Heiress (1949), Detective Story (1951), Carrie (1952), Roman Holiday (1953), The Desperate Hours (1955), Friendly Persuasion (1956), The Big Country (1958), Ben-Hur (1959), The Children's Hour (1961), The Collector (1965), How to Steal a Million (1966), Funny Girl (1968). He used new technologies to seamlessly combine reality and fantasy in movies like Back to the Future and Who Framed Roger Rabbit. Suggested Filmography: I Wanna Hold Your Hand (1978), Used Cars (1980), Romancing the Stone (1984), Back to the Future (1985), Who Framed Roger Rabbit (1988), Back to the Future II (1989), Back to the Future III (1990), Death Becomes Her (1992), Forrest Gump (1994), Contact (1997), What Lies Beneath (2000), Cast Away (2000), The Polar Express (2004), Beowulf (2007), A Christmas Carol (2009), Flight (2012), The Walk (2015), Allied (2016), Welcome to Marwen (2018). Suggested Filmography: The Seventh Cross (1944), The Search (1948), Act of Violence (1949), The Men (1950), High Noon (1952), The Member of the Wedding (1952), From Here to Eternity (1953), Oklahoma! (1955), A Hatful of Rain (1957), The Old Man and the Sea (1958) (uncredited), The Nun's Story (1959), The Sundowners (1960), A Man For All Seasons (1966), The Day of the Jackal (1973), Julia (1977), Five Days One Summer (1982).